How to book the cheapest Flights? My Secret Recipe! How do you always find the cheapest flights? 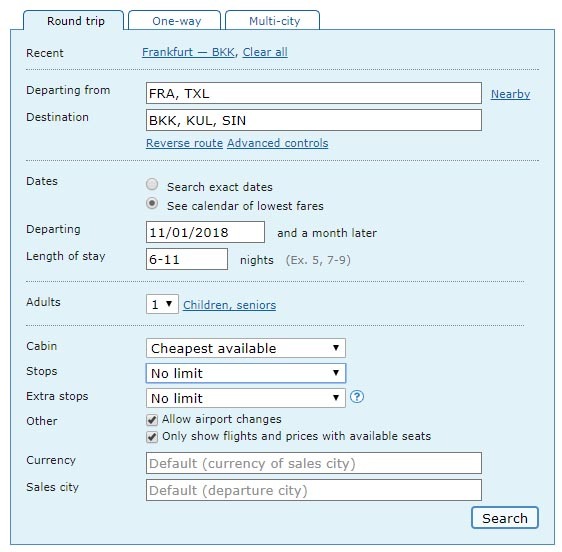 Besides the usual error fares (where manual mistakes trigger extremely low prices) there’s one best way to find the lowest price for every flight. 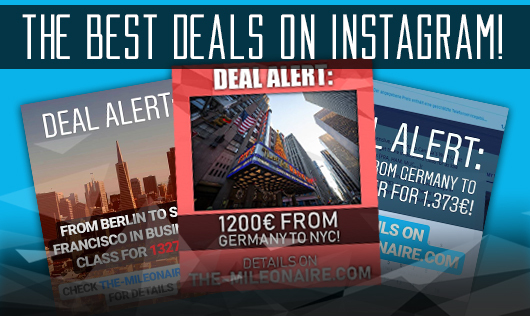 In the following post I will describe you my perfect recipe to low flight prices, so you’ll never overpay again! 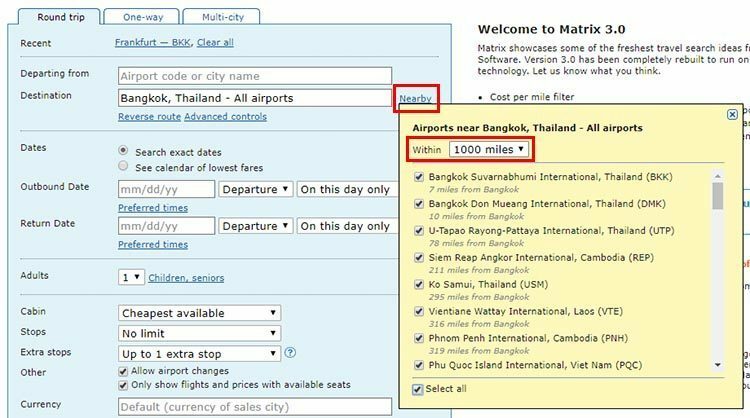 Because of this, when trying to find the best flight prices you should rely on a professional tool: the ITA Matrix! Only after you’ve identified the cheapest flight there, you should head over to the regular online travel agencies to book your flights. Go to Matrix.ITASoftware.com and try to get used to the search engine. 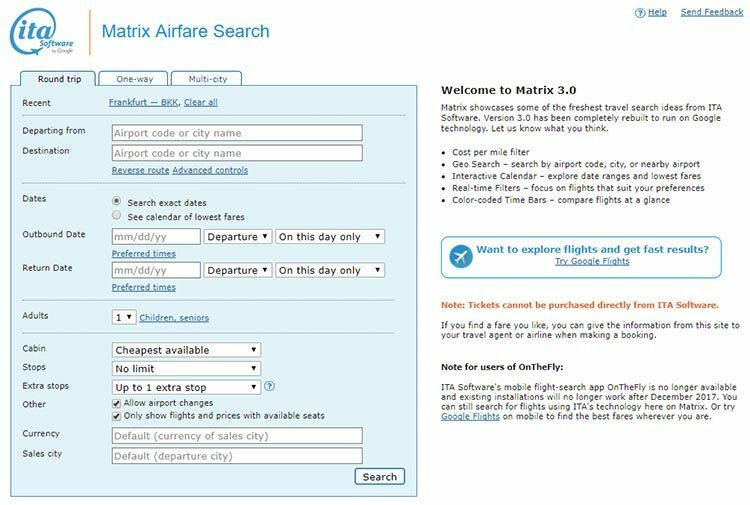 Although you can’t book your flights in the Matrix directly, it offers the best search tool on the current market (no surprise that Google bought it). There are way more options you can define compared to regular online travel agencies, so that you don’t have to run a ton of different searches to find the cheapest price. There are also additional hidden options, where you can e.g. search for flights with one specific plane type if needed. 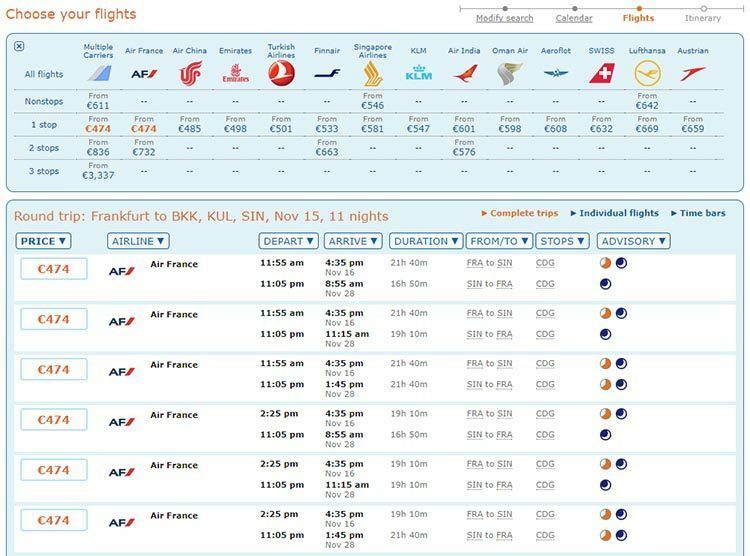 The Matrix’ front page: this professional tool lets you to find the cheapest flights! When you’ve chosen your destination, you can include all airports nearby by clicking on ‘Nearby’ and then selecting the range. From Frankfurt to the world: that’s how I search for flights to Bangkok, Singapore, New York and Lima at the same time. 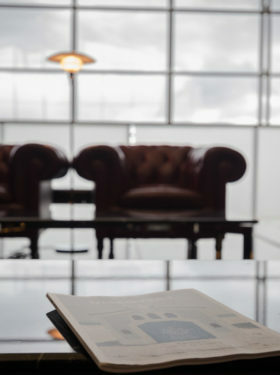 Very often it’s also worth to consider different departure airports. For me it doesn’t matter if I have to fly from Berlin, Frankfurt or Munich as the train to each city is pretty inexpensive. 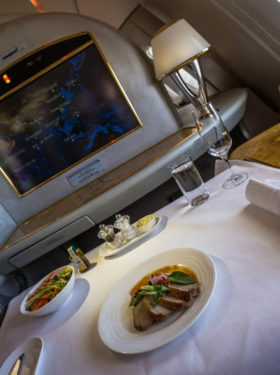 Especially when flying Business Class, being flexible with your departure airports can save you hundreds of Euros. Departing from: here I’m searching for flights departing Frankfurt, Berlin and Munich at the same time. 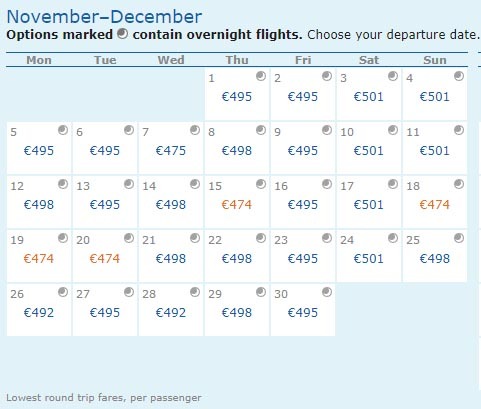 The second trick how I get my flights that cheap: if possible you should be highly flexible with the dates you want to fly on. I know – in many jobs it’s impossible to be flexible (or when you have kids in school), but you should at least be more flexible than the +/-3 days regular search engines offer. 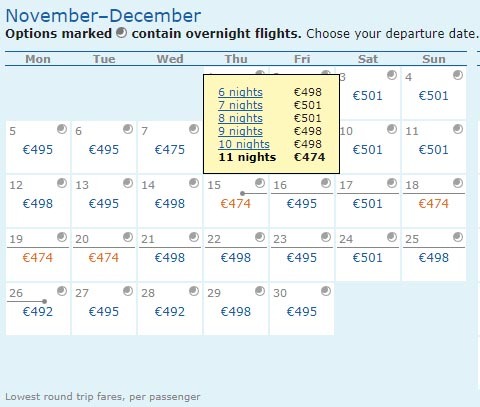 Using the calendar of lowest fares: here I’m searching for flights in November with a stay between 6 and 11 days. In order to find this specific flight with regular search engines you would’ve spent a lot of time. Instead of searching for specific days over and over, the Matrix allows you to get all the info at once. 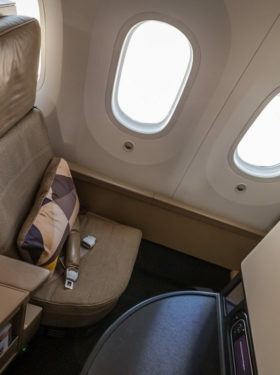 Cabin: Economy, Premium Economy, Business or First Class. There you can now book your flight as you always used to – but with the little difference that you know that you have the cheapest flight available!